2,500 batch ‘A’ Stream I corps members deployed to Kaduna State by National Youth Service Corps (NYSC) are expected at permanent orientation camp, KM16 Abuja-Kaduna express way, Kaduna, for 21-day orientation course, the State Coordinator, Mohammed Momoh has said. Momoh, who stated this Monday during pre-orientation press briefing in Kaduna, added that all the necessary logistics has been put in place including maximum security during and after the orientation. 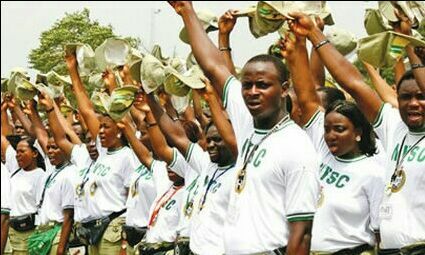 Recall that orientation course as one of the four major cardinal points of NYSC, is aimed at preparing prospective corps members for the 12 months service to the country, as well as availing them with opportunity to learn at least, one new skill that can make them job creators instead of job seekers. The State Coordinator, who used the event to explain the rationale behind hitches in payment of corps members allowance, said the scheme is working seriously in collaboration with federal ministry of finance to ensure prompt payment of corps allowances because to whom much is going to be given, much is expected. He hinged the hitches on tooting stage of Treasury Single Account (TSA) and mistakes from corps members themselves. He however reiterated the commitment of the scheme that welfare of corps members and staff will be taken seriously in order to get the best out of them. “The NYSC, as the largest youth mobilizer in the country is always striving to improve its modus operandi. We are set for this batch’s orientation course as all the necessary logistics have been put in place in order to get the best of our youth graduates. “Remember that the scheme was established by the military some decades ago. So, we have always having best security personnel in terms of quantity and quality to provide security for our corps members anywhere they are posted to for their primary assignment,” he stressed. He then called on prospective employers of corps members to submit request application early, clearly stating the number of corps members/discipline required and the welfare provision put in place for them. According to him, the swearing-in for the course participants for the stream, would take place on Friday 29th April, 2016 by 10 am while the closing ceremony will hold on 19th May, 2016. The State Governor, Malam Nasir El-Rufai, is expected to declare the orientation course open while the Chief Judge of the state, Justice Tanimu Zailani will administer the Oath of Allegiance on the corps members.